Floral chandelier by Lisa Johansson-Pape Large chandelier with a yellow glass shade and transparent glass flowers above the stem on an all brass frame, Finland, circa 1960s. 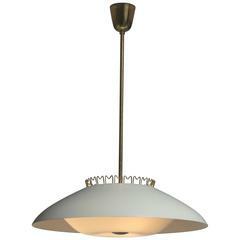 A brass chandelier with perforated X-pattern detail around perimeter, translucent dome covers the bulbs with a brass finial in the center. Manufactured by Orno. Finland, circa 1960s. 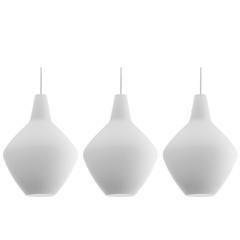 Pendant lamp by Lisa Johansson-Pape A rare pendant lamp by Lisa Johansson- Pape with milk glass shade, brass stem, and detailed cap on bottom of shade. Finland, circa 1960s. 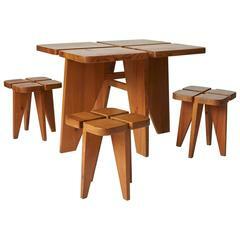 A dining table and four stools in pine, by Lisa Johansson-Pape for Stockman Orno, Finland, 1960s. Each stool measures 14" x 14" x 17" H.
A brass chandelier with ten lights and red, olive and blue lacquered floral shaped caps, Italy, circa 1950s. Beautiful vintage 1960s example in polished aluminium. Marked with Stockmann Orno label. 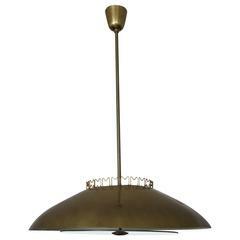 Brass Chandelier by Lisa Johansson-Pape for Orno, Finland, 1950's. 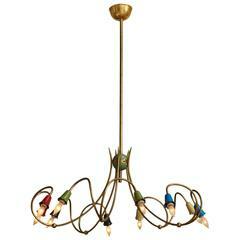 An elegant chandelier by Lisa Johansson-Pape for Orno, Finland, ca' 1950's. 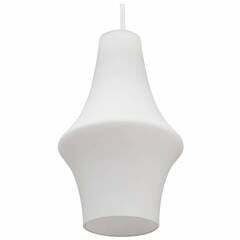 Beautiful decorative details, satin glass diffuser. 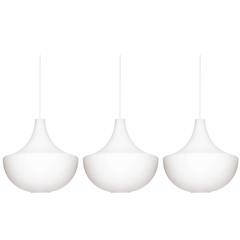 Ceiling lamp designed by Lisa Johansson-Pape, Finland, 1950s. Polished pierced brass. Opaline glass. New wiring. Height is adjustable. Global front door shipping: €99.